May 24, 2017 Real EstateBy DEANknows! There once was a time when you needed a business card to look legitimate. You would hand out your business card, it would say what you did and have your contact information on it and people would pull that out to contact you. Those days are gone. You may still have a business card, but that doesn’t give you any legitimacy. 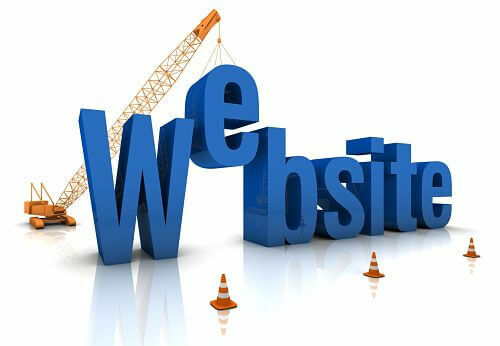 Today, to show you are in the business and to tell a little about yourself you need a website. People do their research on the web, you need to have a presence. Don’t think that your potential client won’t type your name into Google to see what comes up. A “Brochure” website fills that need. A Brochure style of website is usually going to be www.YourName.com and focus on giving you a web presence that tells about you. This is where you have the ability to tell why a client would want to work with you, talk about your previous accomplishments, post client testimonials and have a way for someone to contact you. The SEO (search engine optimization) for this type of site should be focused on your name, so if someone types your name into a search engine, your site comes up. You may also want to SEO the site for other terms like – top agent in “yourcity”. These types of websites generally do not generate new business. I know you just said to yourself, “then why am I going to do it”? Keep in mind, a brochure website is being found because they are looking for YOU on the web. If that is the case, they already know your name, they know you are in Real Estate, they are just getting some more information. They may have seen one of your signs, been referred to you or even looking you up after they met you at a dinner party. You need to keep that in mind as you write the copy for this type of website. This is a captive audience that has hunted you down. Tell them about yourself. A Brochure website may only have three or four pages, one about you generically, one about why you are a great listing agent and what you do when you list their property, one about why someone should work with you when looking for a home, one for past client testimonials and possibly another showing your expertise in certain geographical areas or specialties. You should always have an easy way for the consumer to contact you on every page. Be sure to IMMEDIATELY get back with someone who contacts you from your website. I can’t stress that enough. If someone reaches out to you from the web and you don’t get back with them within five minutes, you have lost them forever. The next type of Real Estate Website is the Lead Driven type. This type of website may not talk as much about you, but focus on a subdivision, real estate vertical or specific geographic area. This type of website will generally have real estate SEO, PPC or Targeted Facebook Advertising to drive traffic to the site. The person finding this type of website is typing: “subdivision” real estate or; buy a house in “city” or; foreclosures in “area.” This type of site is substantially harder to build simply because there is so much competition. If you go to Google right now and type in “YourCity” real estate—you will see it’s monopolized by the big players such as Zillow, Trulia or a large broker. That being said, you still have the ability to get a more focused and by building a niche site for example: Waterfront Properties in “yourcity” or Foreclosures in “yourcity” or even Equestrian Properties in “yourcity”. Although the competition is fierce, if you drill down to a specific niche, you can rank high on certain keywords. Although more challenging to build successfully, this type of site brings in buyers and sellers who don’t already know you. This is the site that generates real business if done correctly. Lead Driven sites also benefit greatly from a blog. If you are building a site on Historical Properties in “yourcity”, you should be able to put together a lot of content in individual blog posts. Blog posts help greatly for SEO (search engine optimization). By blogging on very specific topics and having a site devoted to a specific topic or area, you become the expert in that vertical. Also, you can post your blog posts to Social Media to drive traffic to your site. You may not see a ton of traffic to this type of site, but the traffic that you will see is very targeted. Think about it, if someone Googles “Plantation Homes for sale in “yourcity” and your site comes up and speaks to nothing other than plantation homes, they are more likely to stay on the site longer. Because you have proven to be the expert in Plantation Homes, they are more likely to contact you and not someone else. You will want to see the level of competition for your keywords, one easy tool to use is the Google Keyword Planner. You still market yourself on this type of site, but it’s more subtle. You want to focus the content on the topic—not yourself. Once again, you MUST get back with anyone immediately if they contact you. Many real estate agents try to build one website that serves both of the above purposes. I have found that it is easier to stay focused and optimize your site (SEO) in a very targeted manor. If you choose to build a Lead Driven style of site, you should ALSO have a Brochure site. You should link back and forth between the two. If someone finds your Brochure site, in telling them that you specialize in foreclosures you should link to your Foreclosure website (anchored correctly) within that copy. From your Lead Driven style of site, when you do speak about yourself, you can link to your Brochure site. It doesn’t need to be done that way, but Google will like it better which means it will rank better. Anytime you build a website, you should always focus on the persona of the person that finds the site. That means building your site to the type of person and motivation of the person who finds your site. This is an age-old web technique and tons have been written on it. This goes to the heart of why I think you shouldn’t try to have one site that serves both purposes. Click for a little more information on web personas. 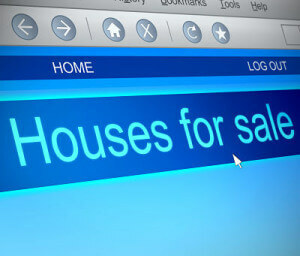 IDX stands for Internet Data Exchange and ultimately provides the web visitor with search capabilities for searching all of the homes available in the MLS. If agent level IDX is available in your area, you should provide it. It simply gives your visitors one more reason to not leave your site since they can search for available properties right there. IDX in itself is not enough for a successful website but can be a nice tool. You should utilize IDX in a way that is appropriate for the style of site you have. For instance, on a Brochure site, you may simply want to have a quick search and mention that you can search all available properties, from all brokers right here. On a Lead Driven website, you will want to get a little tricky by having quick links to certain searches. For instance, if your site is about Foreclosures in “yourcity” you can either automatically display all available foreclosures in “yourcity” or use links within your copy to bring the user to see all of the available foreclosures in “yourcity”. This is where you can really start adding value to your website. For more information on IDX, read our article on IDX and the Evolution of Online Real Estate. So What Type of Website Should I Have? At the end of the day, if you are serious about selling real estate, you need at least a brochure style of site. You need to have that web presence that at least shows you are legitimate. If you do have IDX on your brochure site, you can have your existing clients search there as opposed to Zillow, Trulia or anywhere else. This is super important since those other sites are constantly bombarding your clients with other agents and advertising— Your site is constantly branding YOU and with IDX, shows ALL of the available properties. The Lead Driven style of site should focus on your specific niche that you want to capitalize on or if you anticipate generating a large portion of your clients from the web. These sites are more work and require constant attention and updating to stay competitive, but can reap large financial benefits if done correctly. You will need to understand SEO and SEM or hire someone to work on your SEO because that is critical for a Lead Driven Website. With the majority of internet traffic today coming from mobile devices, your site must display well on phones and tablets. Most sites built today are responsive designs. What that means is the website looks for what size screen the user is on and automatically formats itself correctly for that size display. If you have an older site that you just love, but it doesn’t display well on mobile, you can create what I call an “M Dot” site. If your web visitor is on a mobile device, that is the version of the site that will show. Either way—if your site doesn’t display well on mobile, you are throwing away about 50% of your traffic. If you would like to have a personal consultation on designing your Brochure website or developing a Lead Driven website, or even adding an “M Dot” version of your existing site, DEAN Knows can help. We have years of experience in building and optimizing both style of sites and would love to work with you. DEAN Knows also has deep experience in SEO, SEM and other forms of electronic marketing. For more information on what we can do to help you with your online presence, please contact us here.